Please be patient as this site is under construction. Thank you! are automatically refreshed for each category. 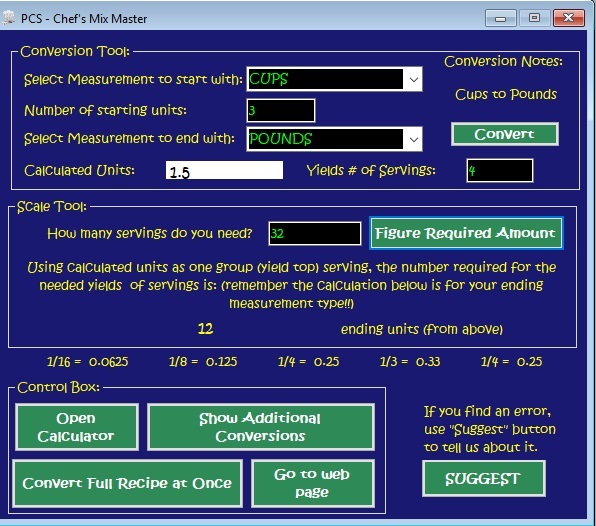 This little gem of a tool, we call the Recipe Scaler. 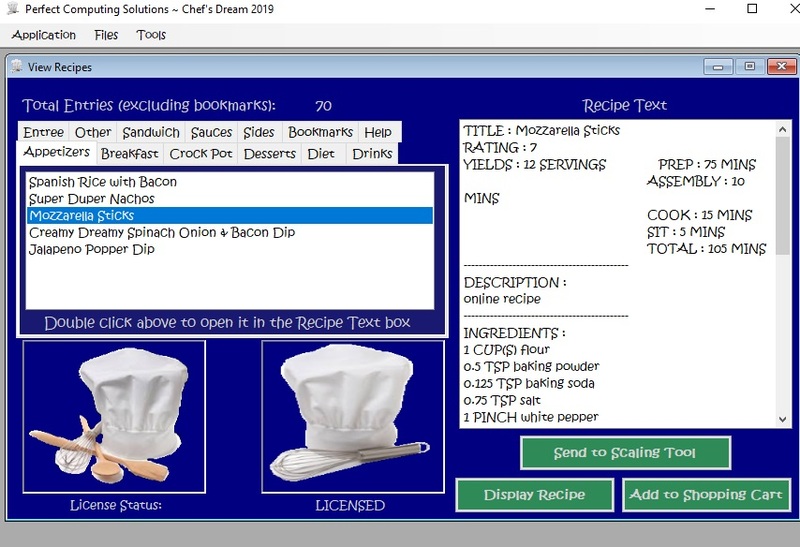 It allows you to import whole recipes and scale them up or down! 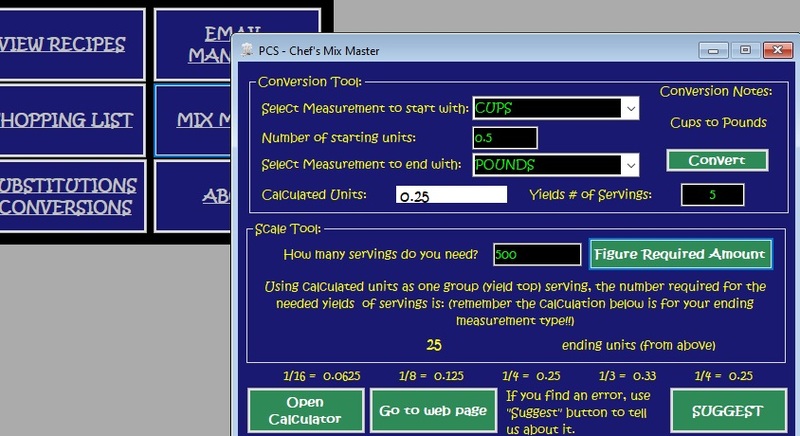 This part of the application is the Mix Master. Aptly named because of all the different mixtures of mesurements you can perform. Recipe calls for a smidgeon but only yields 4 servings. How much do you need for your Thanksgiving day feast? 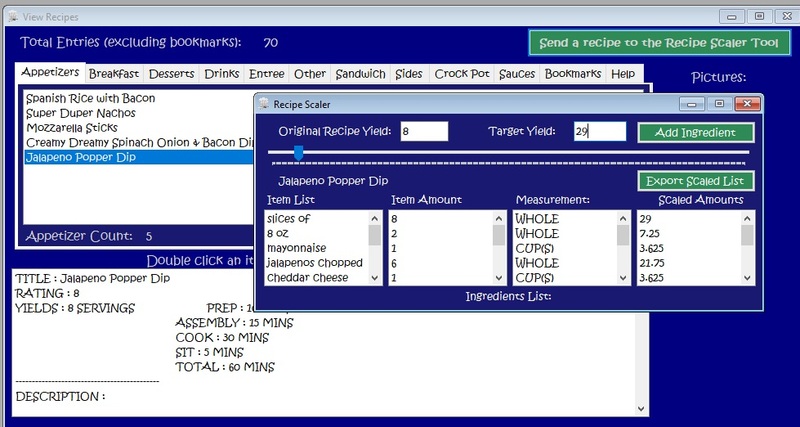 Create shopping lists with ease by emailing the ingredients for the dish to your phone. 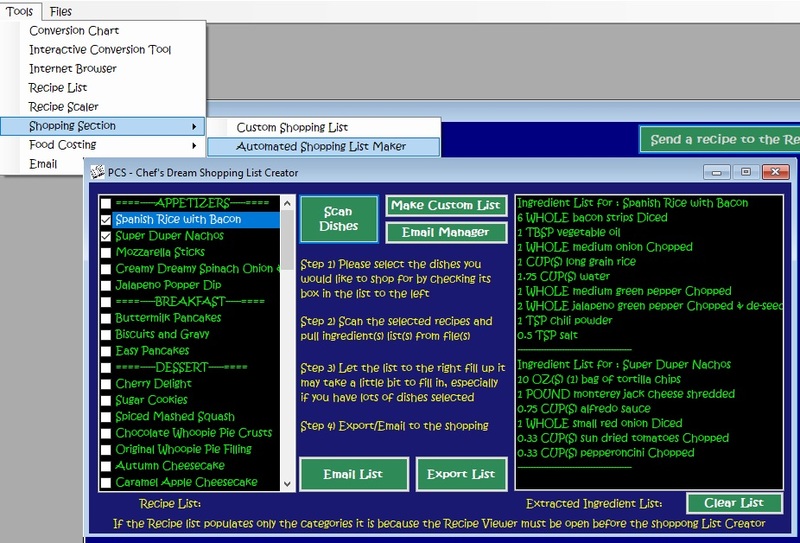 You can also make a custom shopping list. favorite recipes like never before. 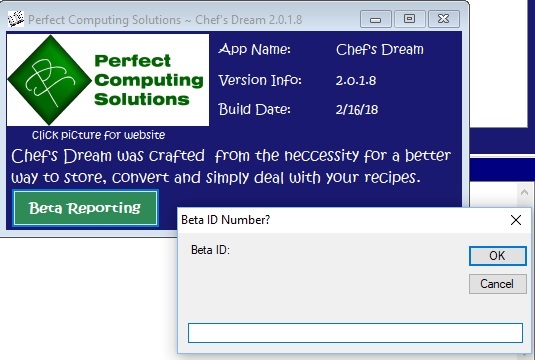 The version available for download is classified as a beta Test version. Essentially fully functional but not yet refined. If you need runtime files they are here.